The Union Ministry of Health and Family Welfare on Tuesday issued guidelines on the Zika virus and appointed the National Centre for Disease Control (NCDC), Delhi as a nodal agency for investigation of outbreaks in any part of the country. The ministry’s move came after the World Health Organization (WHO) termed Zika as “an international emergency”. The ministry has also issued travel advisories and suggested that people avoid non-essential travel to affected countries. According to the guidelines, pregnant women or women who are trying to become pregnant should defer their travel to the affected areas. It suggests that travellers diagnosed of febrile illness within two weeks of return from an affected country, should report to the nearest health facility. The guidelines also call for pregnant women who have travelled to areas with Zika virus transmission to mention about their travel during ante-natal visits in order to be assessed and monitored appropriately. The WHO has reported 22 countries and territories in the Americas from where local transmission of Zika virus has been reported. Microcephaly in newborn children and other neurological syndromes (Guillain Barre Syndrome) have been found to be temporally associated with the Zika virus infection. However, there are a number of genetic and other causes for microcephaly and neurological syndromes like Guillain Barre Syndrome. For enhancing surveillance, the ministry has talked about community-based surveillance and said that the Integrated Disease Surveillance Programme (IDSP), through its community and hospital-based data gathering mechanism, would track the clustering of acute febrile illness and seek primary cases, if any, among those who travelled to areas with ongoing transmission in the two weeks preceding the onset of illness. IDSP would also advise its state and district level units to look for clustering of cases of microcephaly among newborns and reporting of Gullian Barre Syndrome. The Maternal and Child Health Division (under NHM) would also advise its field units to look for clustering of cases of microcephaly among newborns. The guidelines talk about rapid response teams which will be activated at central and state surveillance units. Each team would comprise an epidemiologist/public health specialist, microbiologist and a medical/paediatric specialist and other experts (like entomologists) to travel at short notice to investigate any suspected outbreak. 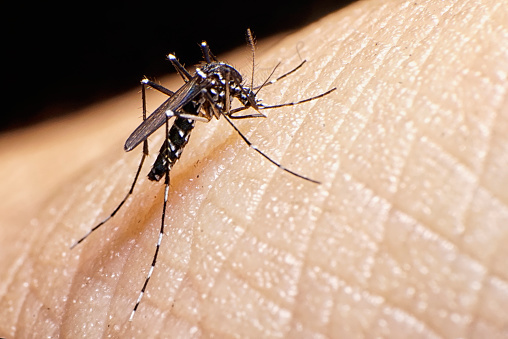 The guidelines say that NCDC and the Delhi and National Institute of Virology (NIV), Pune, have the capacity to provide laboratory diagnosis of Zika virus disease in its acute febrile stage. These two institutions would be the apex laboratories to support the outbreak investigation and for confirmation of laboratory diagnosis. Ten additional laboratories would be strengthened by ICMR to expand the scope of laboratory diagnosis, it promises. RT- PCR test would remain the standard test. As of now, there is no commercially available test for Zika virus disease. Serological tests are not recommended, inform the guidelines. Regarding vector control, the ministry has promised that there would be enhanced integrated vector management. The measures undertaken for control of dengue/ dengue hemorrhagic fever will be further augmented. The guidelines for the integrated vector control will stress on vector surveillance (both for adult and larvae), vector management through environmental modification/ manipulation; personal protection, biological and chemical control at household, community and institutional levels.